Cupcakes 'n Daisies: To Market To Market . . . .
One of my favorite booths at quilt market was the Miss Rosie's Quilt Co booth. 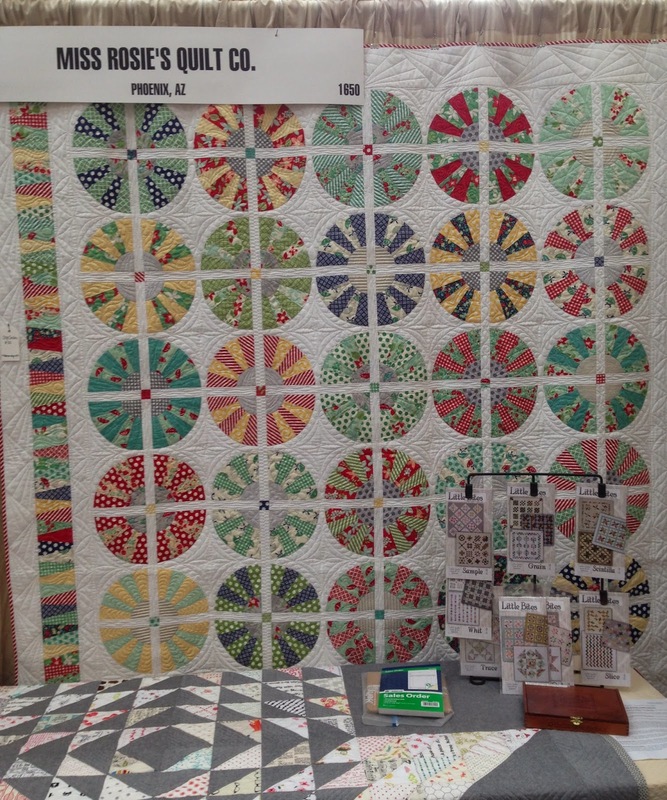 If they gave an award for the most quilts displayed in a small area, this booth would be the winner. I think there were a total of 31 finished projects on display, all new, all lovely. This quilt is Crop Circles. I love the happy life saver blocks. This is Freddy. 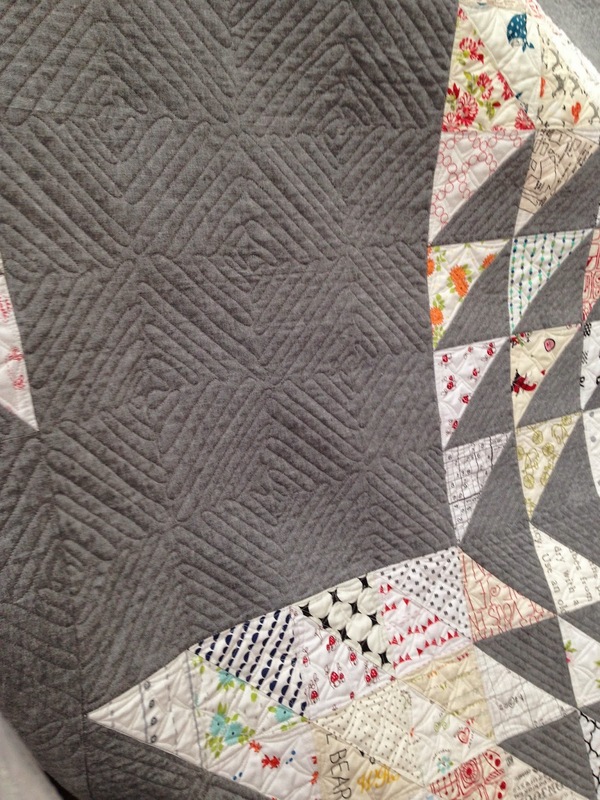 That Ansonia fabric makes a pretty top, but that quilting design in the center is amazing. The top quilt is Sugarboo, the bottom quilt is Double Dutch. Here's what Double Dutch looks like in its entirety. I can already picture a version of this quilt hanging in my living room! Quilts on hanging rack, top - Zoom, middle - 7 Letters, bottom - Happy 7 Letters. All you need to make this wonderful huge basket quilt is 3 charm packs or a layer cake and around 4 yards of background fabric. You know me and basket blocks, I love them all, but this big basket block is awesome. The patterns for these big quilts are currently not available, but as soon as they are I'm making a big basket quilt. The big quilt patterns should be available sometime in June, that gives us a few weeks to pick our focus fabric and order some background fabric! While the big basket quilt was my favorite pattern at market, this wall was my favorite display. And more Little Bites. These little quilts make great pillows, table toppers, wall hangings, or a myriad of other home decor items. They all are made using two mini charm packs, 2 1/2 inch squares of fabric, and some background fabric. Out of all the Little Bites I like this one the best, Slice #3. Probably because that's the one I pieced! The pattern is Slice, a Little Bites pattern by Miss Rosie's Quilt Co. It finished at 21 1/2" x 26"
It has approximately 342 pieces. So even though all the large quilt patterns are not quite ready for prime time, all the Little Bites patterns are! Eight patterns that make a total of 23 different projects, ranging in size from 28" x 28" to 17" x 20". Paper or PDF patterns are available from Miss Rosie's online shop here. There's even a special rate if you want to buy all 8 patterns. Additionally, I'm giving away one set of new Little Bites patterns. If the USPS will deliver to your address, you're eligible to win. Just leave a comment saying which new MRQ Co pattern is your favorite (big or little)! You have until the end of day today, Thursday, May 22, to leave your comment. I have more market pics and another giveaway, stop back by! Miss Rosie's Quilt Company is not sponsoring this post or providing the patterns for this giveaway. I purchased these patterns for this giveaway. I really like Whit, but I just finished a Flying Geese pattern by Miss Rosie, so I think my new favorite is Trace. Such cute patterns! I love all of Carrie's patterns, old and new! My favourite of the new big patterns is '7 Letters' and my favourite new Little Bite is 'Whit'. Your version of Slice is lovely! Thanks for the giveaway. Carrie's patterns are wonderful! My favorite new Little Bite is Scintilla. Thanks for the giveaway. I could do a lot with Scintilla! Thanks for this review--can't wait til the large patterns are ready. There are definitely a few on my summer sewing list including the large basket you liked too. I think my favorite is Grain. Or Trace. Or Scintilla. It would be so much fun to make any of these! I'm really liking making smaller items, now, 'cause you can play with lots of different fabric lines, try the same pattern in different colorways, and get completed projects quickly. Thanks, Thelma, for the generous give-away. I like Whit or Slice - I haven't done any mini quilts yet so this would be a fun way to try them! Thanks for the opportunity! Hi Thelma! Welcome home! I have been following Carrie's progress on Instagram and love them all! If you force me to choose I must select Freddy. That fabric makes for a bold quilt. They are all darling but I think Trace would be my first choice. I am so happy to see mini quilts being designed..love them! I'm always really drawn to a checker board pattern. So, if I HAD to choose 1, it would be grain. Just love the 7 letters quilts. As my cupboards fill up with full size quilts, I'm loving the trend of all things miniature - mini quilts, mini charms. I love Miss Rosie's patterns and would love to make some minis to hang on my sewing room wall. Love your taste in designers; Miss Rosie is a favorite of mine. I really like the Scintilla pattern; it'll be on my to-do list. Choosing favorites is hard but as soon as I saw Zoom, I KNEW I had to make that quilt. 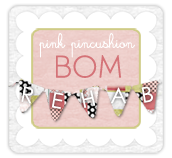 The churn dash block has always been my favorite and I love how Carrie has used it here. All of Carrie's patterns are great and I'd LOVE to win this bundle! Thanks for sharing market with us! I love the Crop Circles...great possibilities for a scrappy happy quilt! Love Carrie and MIss Rosie anything, though! Thanks for the wonderful giveaway. Welcome home, Thelma!! How can you can you choose ONE? I really like the Double Dutch, but really, really like the Whit! I am a sucker for making flying geese!! Then the crop circles are pretty crazy good too. LOL!! That Carrie knows how to put a pattern together!! Thank you so much for sharing some great photos! I would choose Trace as a first quilt, but would be happy to try all! It's a toss up between Freddy and Crop Circles for me. Love the MRQ Co patterns! As a matter of fact, I'll be working on a Little Bites quilt today. Thanks for the opportunity! I love them alll but I think Sample is my favorite! The one you pieced is awesome. You do such good work. Thanks for the giveaway! They are all great, but I am drawn to Whit. I am so with you on that giant basket quilt, that is going straight to the top of my will-do list! There is something so addictive about both little mini quilts and great big huge single block quilts, I just love them! That's a hard choice but I think my favorite would be crop circles. What a lovely opportunity, Thelma! I think ORT is spectacular and would love to make one . . . or two . . . or three . . . . I love the names of all of the patterns, but my favorite to look at is Slice. Definitely. I like Slice best with the whirligig looking blocks. So cute! It caught my eye during market. My big favorite is Freddy and my little favorite is Whit. I notice that almost every little pattern gives you 3 layouts. Bonus!! I'm not sure I can decide.... If I have to pick just one it would be Sample. Double Dutch is on my list for sure!!! I think I have a background in mind now just to pick the remaining fabrics!!! Carrie is AMAZING!!! I love all of her patterns. If I had to pick favorites it would be Crop Circles and Seven Letters in the brighter colorway. Thanks so much for the great giveaway! I love them all, but if I had to choose one...I think it would be slice. Thanks for the opportunity to win these great patterns. Cathy D.
I definitely think "Ort" is my favorite, although I like "Trace" a lot, too! 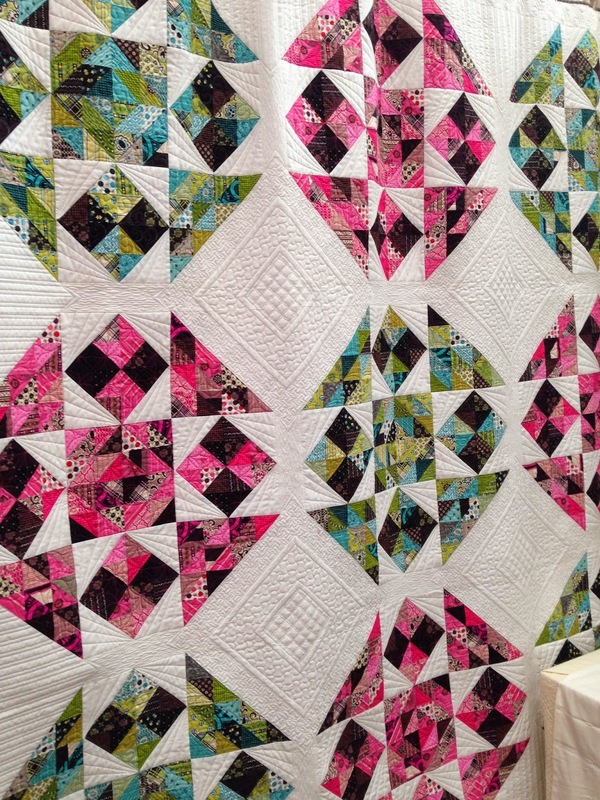 Right now Sugar Boo is my favorite, but my favorite changes every time I look at the quilts! Carrie is amazing! I have really enjoyed looking at all of your pictures from market. It was the next best thing to being there. I looked at Instagram every hour on the hour last week. LOL! My favorite booth was also Miss Rosie's. I want to make every Little Bite there is! So, sooooo Cute!!! My favorite big quilt is the 7 letters. I can't decide if I like it better in happy colors or CW's. I guess I would have to make both. LOL! 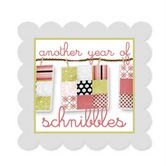 Thank you for the chance to win those wonderful patterns and thanks again for the fabulous updates on Quilt Market. I'm very partial to Grain, although Harvey looks like lots of fun, too!! I like Slice very much...all are just adorable! Love them all, but Whit is my favorite. Ha, ha, had to double check that one. Yes, it is a May 22 post, not a March 22 post. Great giveaway. Thank you for the chance to win some super patterns and I have to say, Slice is my favourite. Ever since Carrie showed the gray version of Whit on her blog I have been waiting for pattern. I can't wait to make it! Wow! 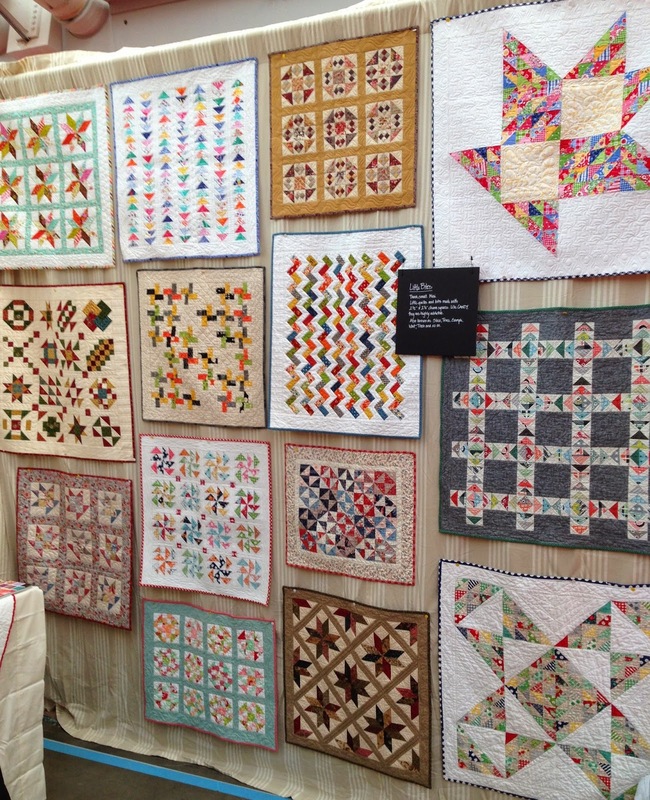 What a beautiful bunch of quilts!! I'm picking 7 letters, but I love them all. How generous Thelma! The Little Bites are calling my name. And out of those... my favorites is Grain. Thanks for the chance! Thank you for all the lovely pics. Crop Circles is my fave but oh my gosh they are all awesome! And the big basket is a great idea, we usually see small ones! Love Whit!! Thank you for the great giveaway!! How can you pick just one favorite!! I think Scintilla would win as first place. I have been following Carrie on Instagram, and it's been fun to see these patterns come to life. She's been one busy girl! Thanks for sharing. I love Whit and of course Slice too. Picking a favorite is like making a mother pick a favorite child. Although, I do think mothers really have a favorite. They just won't announce it! They are all wonderful!! If I had to pick a favorite it would have to be Titch or Sample. Thank you for the opportunity to win these lovely patterns!! It's not easy to choose a favorite from all of these great designs, but SLICE is calling me. What great kids quilts I could make with that pattern! Wow! That is a whole lot of quilting fun!! Not enough time in a day, is there? Thanks for sharing your market fun! I don't know if I have just one favorite, but if pressed, maybe Slice#3 or Whit. What variety! It's hard to choose between slice and crop circles. Final answer is crop circles. I love them all but the miniatures really speak to me. I think Ort is my favorite. I too love slice!! And 7 letters!! I can't wait for this pattern!! Thanks for the give-a-away!! 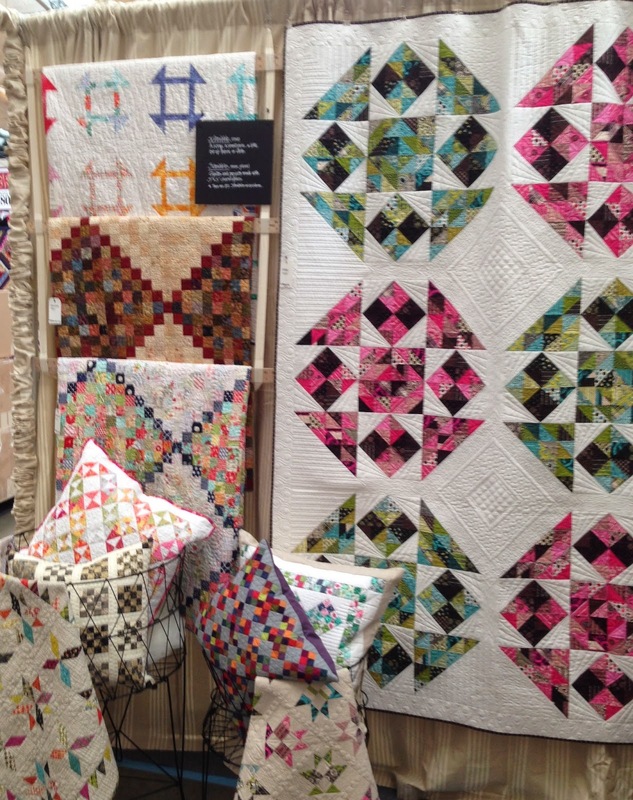 Amazing quilts...I love them all...but if I HAVE to pick, Double Dutch has my vote!! The quilting is exquisite!! Love all the new patterns, but I'd do the Little Bites Sample first, then move on to the rest. Thanks for doing this giveaway!! thank you for all your market pics on Instagram and now the blog post. I love Miss Rosie Quilt Company designs. My favorite Little Bite is Whit but they are all cute! I like the big quilts too but there is something charming about the little ones. They remind me of the county song, "I was Country when Country wasn't Cool" because I've been making little quilts for a long time! I enjoy your blog and just started following you on Instagram. All the new patterns are great! I think the Trace pattern is terrific! I think my favorite is Harvey also! I'm a sucker for a cute basket :) I love all the Little Bites and would have to make every single one! Thank you for a wonderful trip through the booth. My favorite is Slice - would love it on my wall. I can see that Crop Circles quilt in a whole array of pale, shabby chic prints--love it. Carrie is an outstanding designer! She works within the tradition, but brings a really unique perspective without being gimmicky. Oooooohhhh...I love all of these but my favorite this moment is Ort. I need to make this one small and BIG. Thanks for the giveaway. oooo!!! crop circles, fer shur!!! mostly because i lurve the name (but i'm very, very afraid of curved seams) ... i just put those little bites patterns in my cart over at Miss Rosie's - along with the purse handles that i didn't know she had - cuz i'm not taking a chance on being a winner - ha ha ha!!! p.s. - now THAT'S a basket quilt i might actually make - what's not to love about big block quilts?!? and your Slice is awesome!!! Just weighing in on my favorite - Happy Seven Letters. They are all fabulous but that one truly captivated my heart. Please do not enter my name in the giveaway. Thank you! Hard to choose but Seven Letters in Jo fabrics has to be on top of my list at this moment anyway. thank you so much for the opportunity to win these patterns. My favorite is Sample. I love the detail of small quilts and hanging the results on my sewing room walls. I really like Whit and Crop Circles. Such fun new patterns. Thanks for giving away a set of patterns. I love flying geese so my favorite is Whit and then Titch. I really like the fabrics in your Slice. 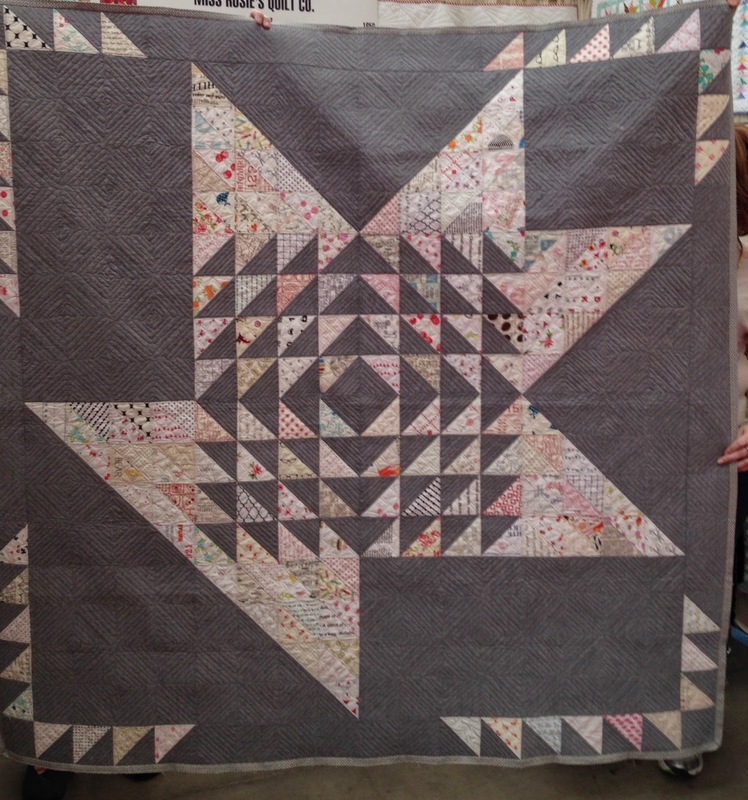 It is amazing that Carrie had 31 new quilts! Does she ever sleep? My favorites are love Slice and Seven Letters. I love working with all those small pieces. It is great getting to see the Market pictures, thanks so much for sharing! I love Whit. There is something about flying geese that speaks to me every time! Freddy is wonderful. I love all of Carrie's patterns. These quilts are so inspiring...thank you for sharing. My favorite is the playful checkerboard look of Grain. OMG I absolutely loved watching all of these come together on instagram. Carrie did an amazing amount of work for this market . I already ordered whit so that is first up for me. But am sure there will be a few more and I am really loving seven as well. Thanks so much for the chance !! I'm pretty smitten with Slice, the one you pieced together. All of the Little Bits are adorable. I'd love to win the set and then let each of my grand daughters pick which one they wanted me to make for them. I absolutely love Crop Circles - just has that vintage vibe I love. Thanks for the chance to win! My favorite new pattern is Whit- but I love them all! I'm liking the Sampler or Ort (single basket design option). Looks like you had a great time - very, very jealous! I can't wait to see you put together the super big basket quilt! Thanks for the giveaway - very generous of you! 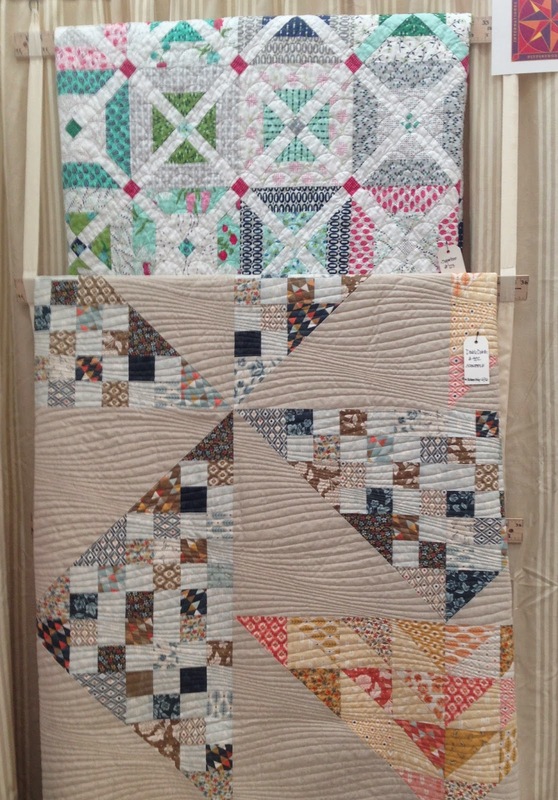 Oh, so much quilty goodness! I am glad you are sharing pictures with us! My favorite is the Double Dutch! I have never met a star I haven't liked. :-) Scintilla gets my vote~ I would love to make all of them though. How fun for you to see them all up close! Thanks for the chance! Wow, it is so difficult to choose just one. I love Freddy and Crop Circles and can see both of them in my future. Little Bites are so much fun, and Titch will be my first up to make. I'm with you on the big basket quilt - that is going to the top of my list also! Great giveaway, fun to see all these beautiful quilts! 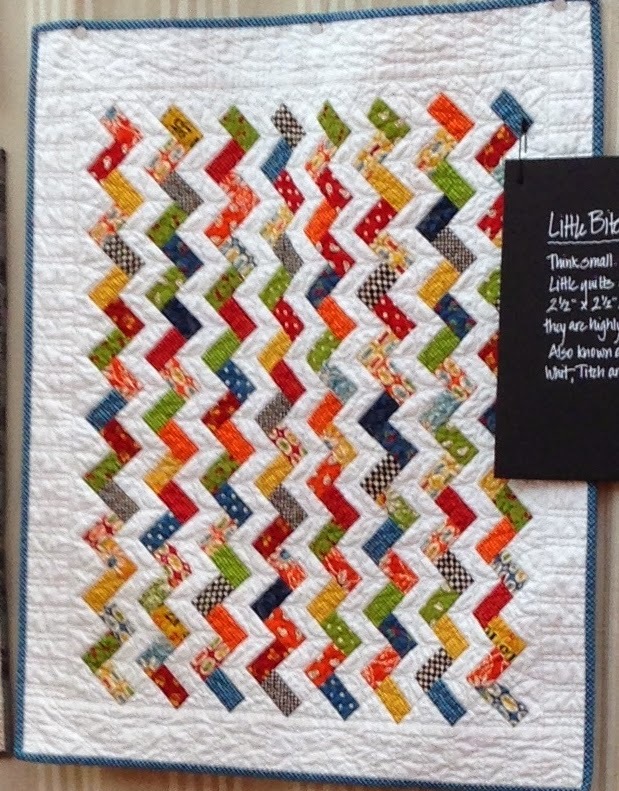 crazy cute quilts, love them all but i am a fan of geese so i like Whit the best. OMG I love the giant basket. I see it in blue/low volume hst and a white background because I would use it during the summer. Relaxing on the quilt while playing cards with the kids while we excape the heat of the summer days...yea, that can be the dream! LOL I love the bittie quilts and the girls NEED doll quilts...all the way around this would be wonderful. I love Carrie. Love all Miss Rosies patterns. My favorite from new market patterns has to be the big basket. So simple but so sophisticated. Love it!! There are several I NEED to make, but I'd start with Titch. Your Slice is adorable, BTW. That is heaven... I could live in that booth :) YUM and YUM! I would start with Whit... I love flying geese! Loved seeing all these treats! I do like a sampler so Sample would have to be my pick! I can only pick one? But I love them all! I really like all the different settings with the "Trace" Little Bites pattern. My favourite is 7 Letters. I am doing a large sample BOM with my guild so I love the Little Bite Sample pattern. The fabric choices to do it would be endless! That's a tough one, but I think "Whit" is my fave! I like crop circles. Carrie always has such neat patterns. Love them all but if I must choose one it would be Sample. What a great scrappy quilt it will be! My favorite Little Bite is Sample. I've already made my version with French General fabrics which I shared on Instagram. My favorite big quilt is Seven Letters. I love the Slice quilt. I'm drawn to zig zaggy quilts. They are all great. Thank you for showing them. And thanks for the opportunity! Love to make little quilts. The little bites basket is my favorite. There's so many choices, but I guess my favorite would be Slice. Glad you had fun at market! Thanks for the chance some of us to have fun too. My favorite is Sample. I would love a shot at winning! Thank you. My favorite Little Bites quilt is Whit! I LOVE all those flying geese!!! I am torn between Whit and Grain as my favorite, oh decisions, decisions! !! I love Sample! Thanks for the chance to win! I love them all --but if I'd have to choose one--I guess it would be Whit ! Sugarboo. What a fun name for a fun quilt! Thanks for the giveaway. I think my favorite is Grain. It just looks so cheerful and would look great made up in solids. Really, though, all the patterns are cute as can be. Thanks for having this giveaway. These are all great, but I really like your Slice and also Happy 7 Letters. Very cheerful and pretty. Freddy is amazing--the color play makes it look so complicated. also agree with you about the big basket--beautiful! do you know if Carrie will be publishing a book with all the patterns or just individual patterns? i want them all! What a fun group of patterns! I'm having a hard time picking just one...Slice, Trace, Whit, Scintella, Grain...any and all of those would be fun to sew. Thanks for sharing. I really like Titch! I think I'll have to make that one soon. Sample is amazing. And you did a wonderful job piecing Slice. Thanks for the picture of all the new Little Bites. And thanks for a chance to win. Love Crop Circles!! What a fun design ....now which fabric to use? I would go with the big basket quilt. I love baskets and HST. I love that Freddy pattern! And all the little bites! Too hard to choose! There are several Little Bites I like, including your Slice and Whit, but my most favorite is Seven Letters. Sample looks great to me! I really like seven letters and crop circles and have those on the list when they come out. Also, I want every little bites. They are all wonderful. Carrie has been so busy, a very creative and talented lady. Thanks for all the great pictures. Looking forward to your Harvey when you are able to start, it will be stunning I am sure. They're all such great designs. I'm particularly drawn to circles so I would have to say "Crop Circles" is my favourite! Thanks so much for a chance at the give-away. Thank you for sharing all those pictures. I would love to go to Market some day, but until then I'm grateful to experience it vicariously! I really like the little bites, especially Whit. I like Slice. So happy you got to do the sample. I really like "Crop Circles" and your "Slice #3". Thanks for the giveaway and the chance. Harvey is my main love though all of them are awesome. I'll have to subtitle mine "Jimmy" as in Stewart since he one of my all time favorites and he starred in Harvey. Slice caught my eye. I'm still enthralled with chevrons, though I was late to the party. 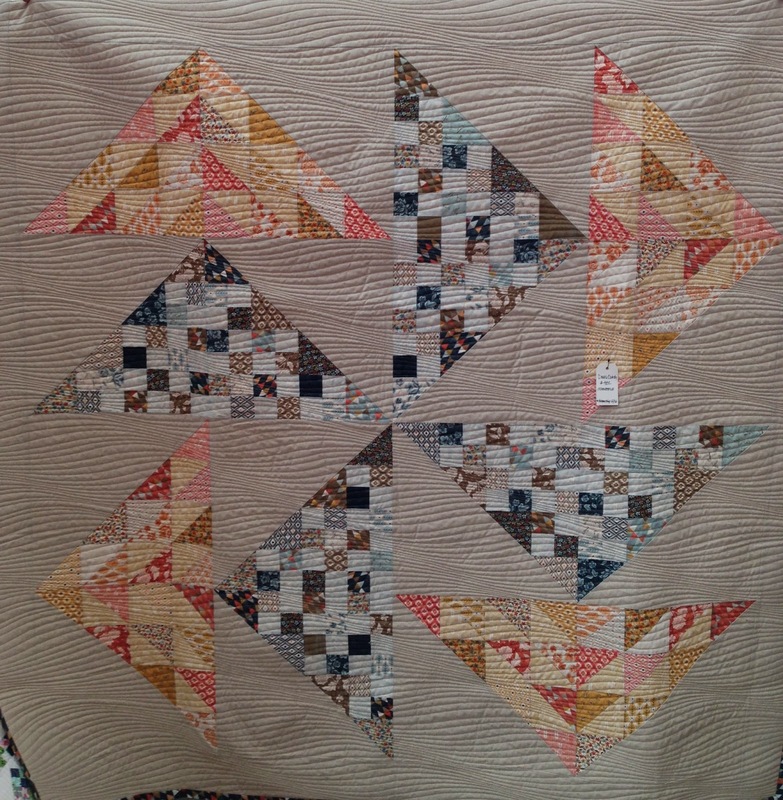 I like the middle quilt pictured on Trace. Ort was adorable too with all the mini baskets. Thanks for sharing with those of us that couldn't be there. I love all things Rosie! Whit is my favorite of this group, but Oh, My-I would make them all! My favorite one is the new little one with the black Essex linen as the background and the rows of flying geese in Denyse Schmidt's Florence. Although it's hard to choose! I know I'm past deadline for the giveaway, but just wanted to say Miss Rosie's Quilt Co never dissapoints. I'm new to this realm of quilting (just started 2 years ago) and I love their patterns and loved seeing these quilts. Thanks. I love little quilts and Miss Rosie's patterns. The pattern Slice caught my eye for using Jo Morton's new line Woodlands, Primitive Gatherings new line Floral Gatherings and Laundry Baskets new line Jelly Bean. In full agreement with you - the big basket quilt would have to be my favorite! Not a big grey fan, but it is without question a perfect choice for this! 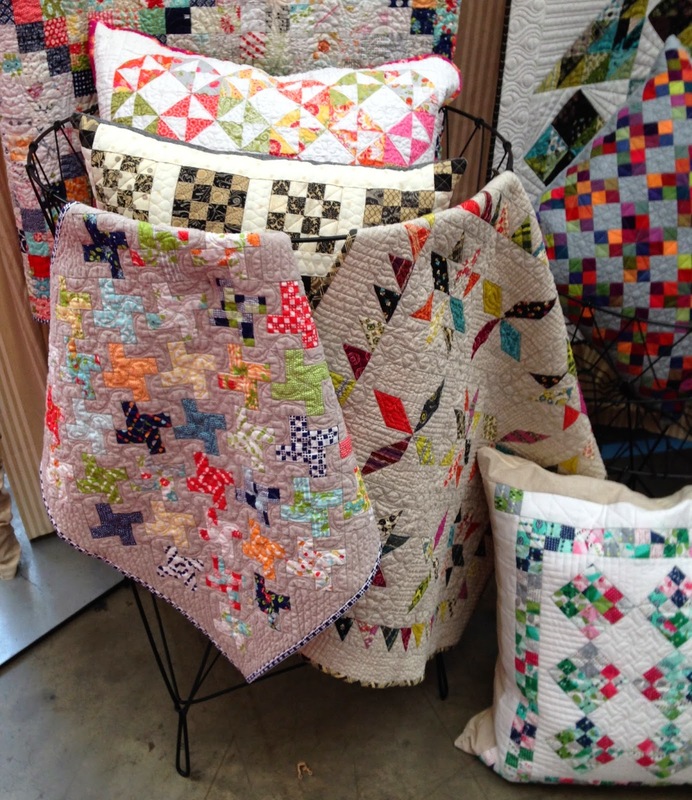 Beautiful quilts and what a nice giveaway! I would love to try one of these patterns. Thanks so much. I'm really surprising myself and saying that Whit is my favorite. I can't believe it! Love following you both on Instagram! We live on a lake, so it's a stay-cation for us!